Hey everyone, welcome back! At this point, we have all heard of Blue Apron. Their advertising game is impressive and everyone seems to know someone who knows someone who is absolutely obsessed, but they are still unsure and looking for more convincing. 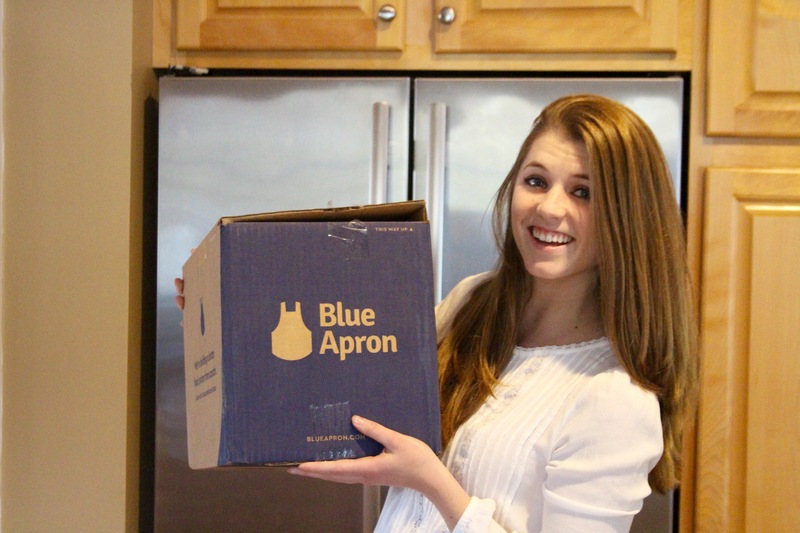 Today, I’m hoping to shed some light on my experience and answer all of your questions about Blue Apron! You all know I really love food. One of my favorite activities is trying new restaurants and new food. My biggest problem with this is that I am not huge into cooking for myself. It isn’t because of unwillingness; it’s just that cooking for two can be such an unrewarding process. I always struggle with buying food that can be used for different dishes in the same week, and as a result I seem to never go through all my groceries before they spoil. As an added setback, B and I are incredibly indecisive. We’ll walk around the grocery store or downtown for twenty minutes before just giving in to hanger and deciding on a standby (make tacos, order a pizza, etc). We’ve also been trying to eat at home more, but I’m underwhelmed more often than not at the lack of flavors I’ve been able to pull together for myself. 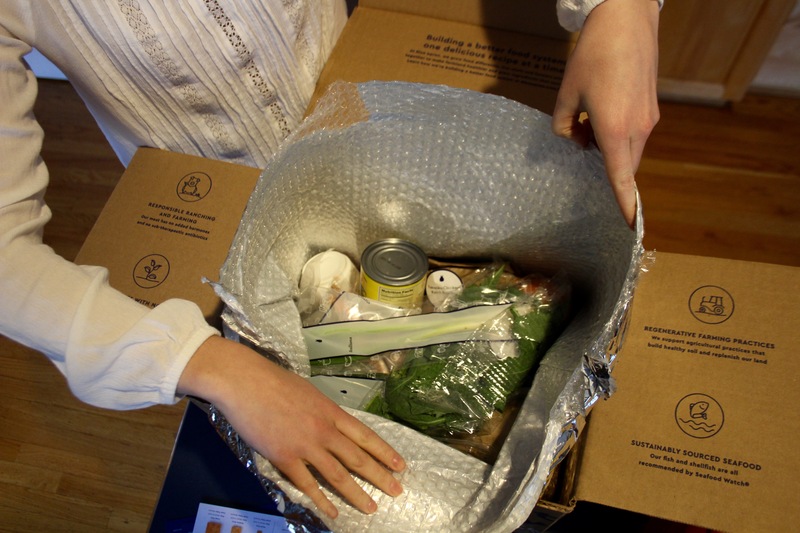 Exasperated with wastefulness and palette boredom, I decided to give Blue Apron a try. One of the things that instantly caught my attention was the perfectly portioned meals, so nothing goes to waste. That was a huge selling point. The other was the menu. 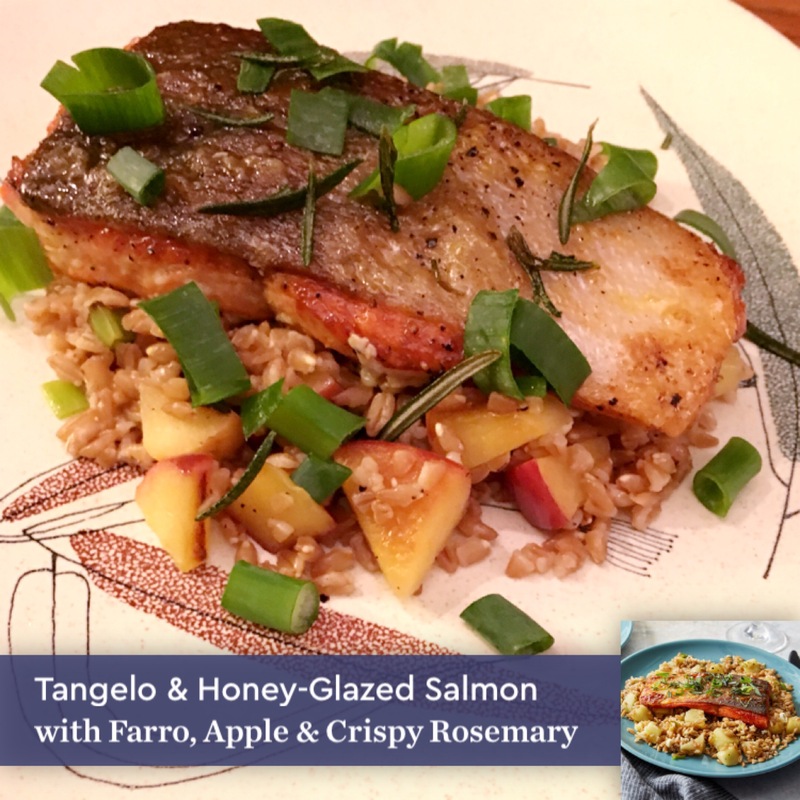 Instead of merely offering a slew of traditional American items, Blue Apron has a wide variety of original recipes that have all sorts of flavors including coconut curry, piccata, and chipotle; creating dishes I probably would never be able to concoct on my own. 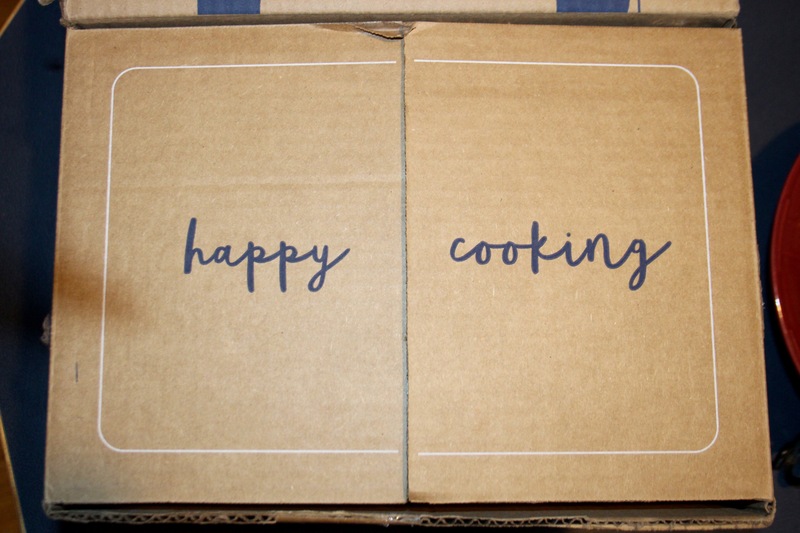 When we went online to put together our first week’s menu, I was really impressed with the gourmet meals Blue Apron trusted us to create! When I got the notification that my first Blue Apron box had been delivered (via Slice app!) I was a little nervous. It was mid afternoon and I wouldn’t be home for a few more hours. 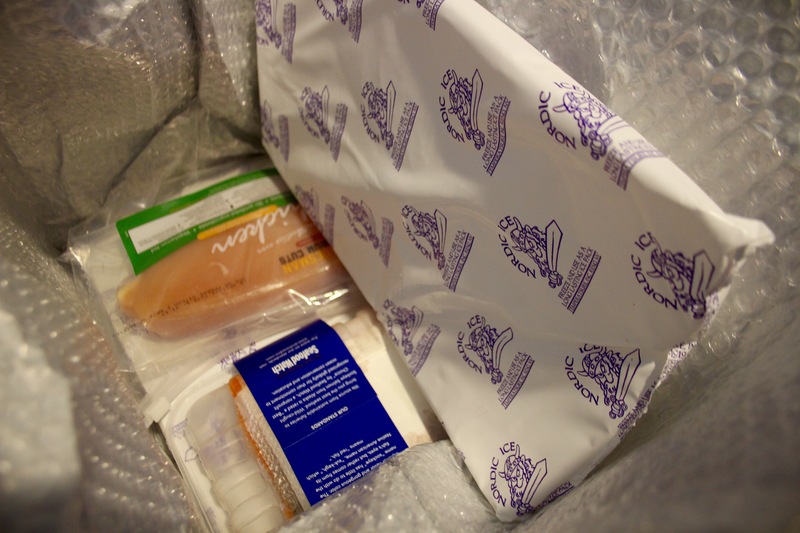 I was relieved when I started the unboxing and the meat was still nearly frozen thanks to the super strength ice packs and insulation. The waste is a big selling point for me, and I imagine for most other people as well. 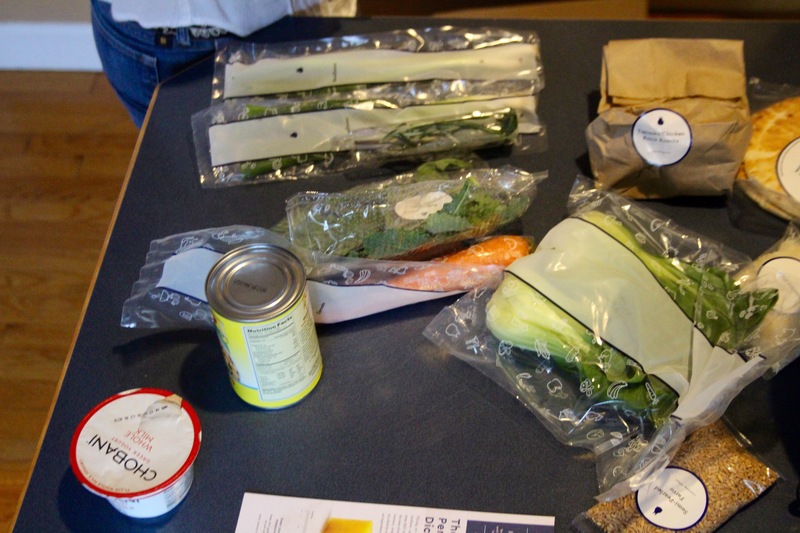 Almost all of the Blue Apron packaging can be recycled, and the meals are perfectly portioned out for you. That means if B and I want to have burgers, we only get two buns, not eight like at the grocery store! 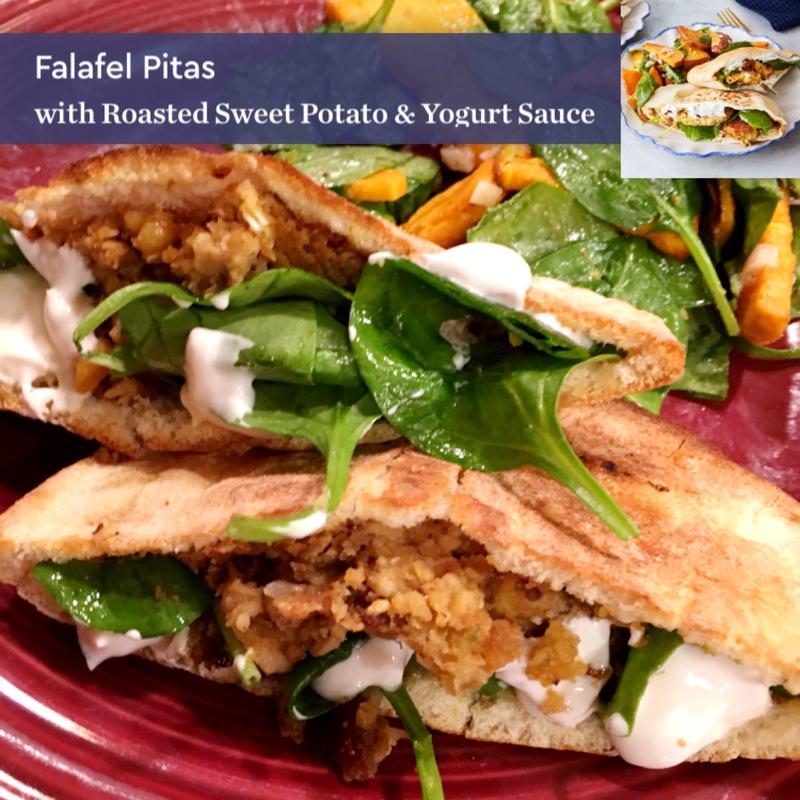 My favorite dish of this box was the falafel pitas. 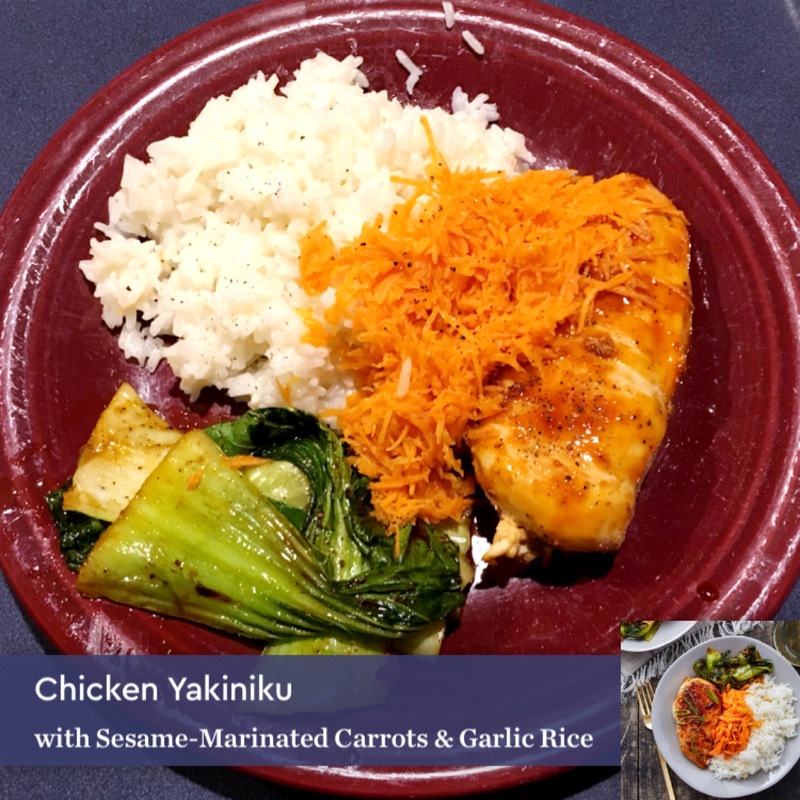 Luckily I was able to save the recipe on my Blue Apron app so that even when they’re not on the menu, I can make this easy and delicious recipe another night of the week, and try even more Blue Apron meals in my delivery box! And now for my favorite part…. 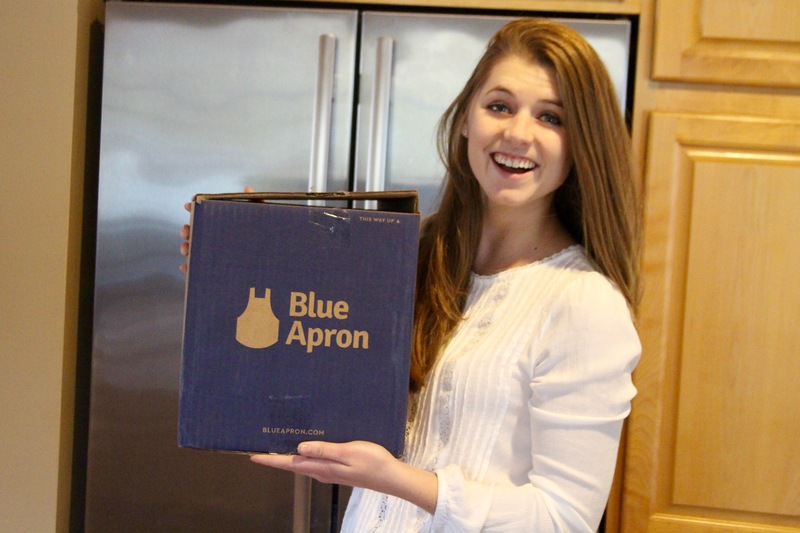 Click here to receive $30 off your first Blue Apron meal! The program has great value and this deal just makes it that much sweeter! 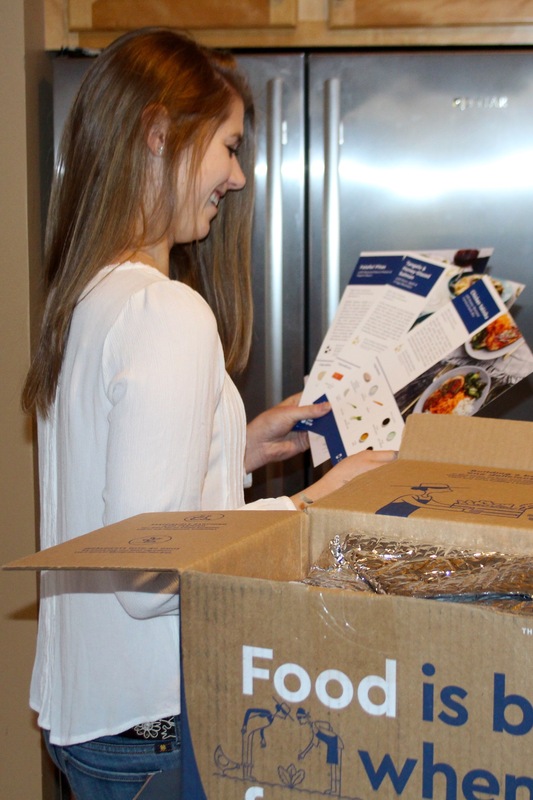 If you have any questions about the Blue Apron program I would be more than happy to answer them! Leave me a comment or send an email to thesolcompass@gmail.com – I love talking about it! A special thank you to the Blue Apron Affiliate Program for working with me, and all of you for supporting the brands that make The Sol Compass possible! 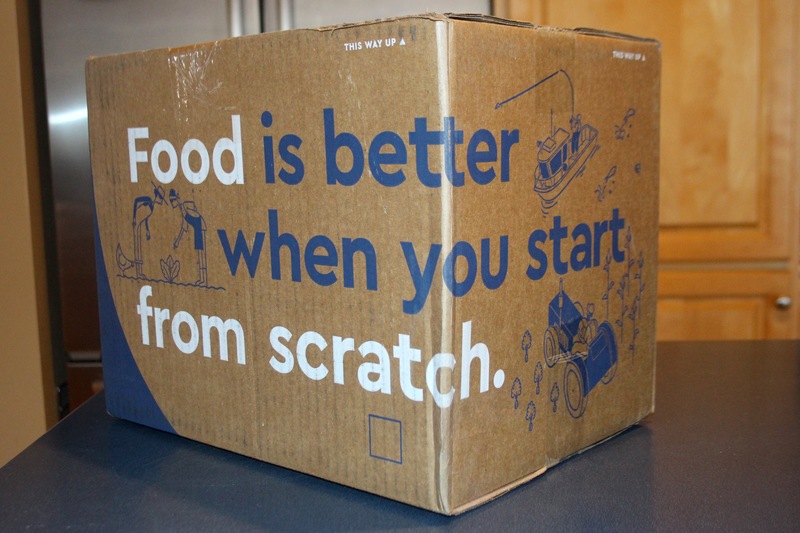 I’ve seen so many friends try Blue Apron their dishes look so yummy! 🙂 I definitely want to try it out, seems like a lot of fun. That Chicken Yakinku looks SO GOOD!